Learn to maximize workflow in your mixes through the use of Console 1. Topics such as EQ, Compression, Metering, and general mixing strategies will be discussed. 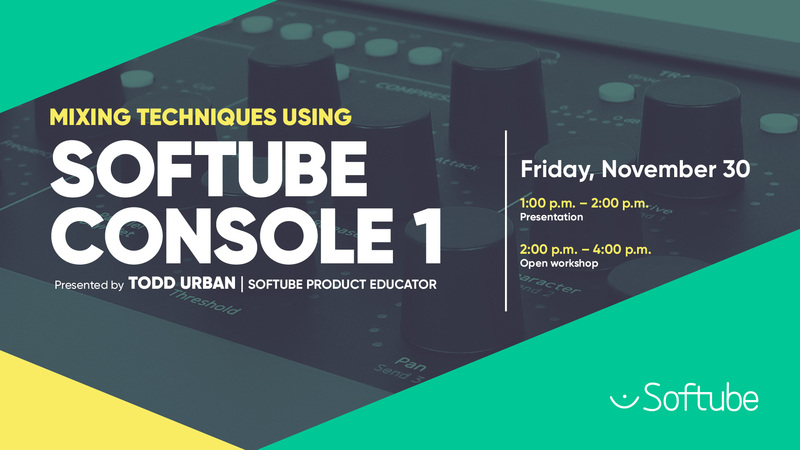 Get hands on experience processing your tracks while learning to maximize your session through the use of Softube and Universal Audio plugins. This event will feature two different sessions. Come learn about Console 1 during the presentation and get hands on time with the hardware during the workshop.